White House aides Stephen Miller (left) and Steve Bannon descend from Air Force One. 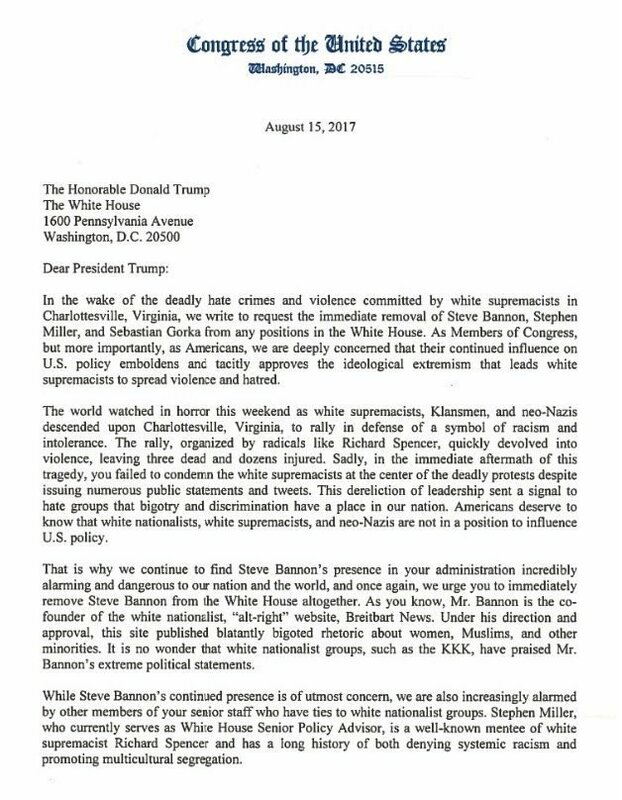 Seven Democratic members of Congress have signed a letter asking President Trump to fire White House Chief Strategist Steve Bannon and aides Stephen Miller and Sebastian Gorka in response to the violence that occurred after a white nationalist rally last week in Charlottesville, Va. It also says that Miller is a “well-known mentee of white supremacist Richard Spencer,” who was present at Charlottesville, and that Gorka “has extensive ties to anti-Semitic hate groups” — which were first reported by the Forward. 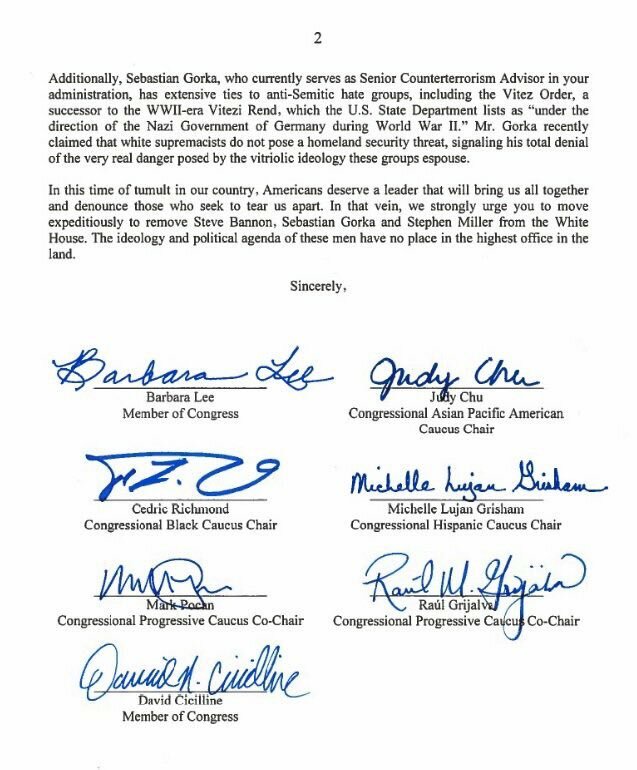 The letter was signed by chairs or co-chairs of the congressional Black, Asian Pacific American, Hispanic and progressive caucuses. This story "Members Of Congress Ask Trump To Fire Bannon, Gorka" was written by Aiden Pink.